Loctite 5205 for machined, rigid metal flanges – semi flexible. 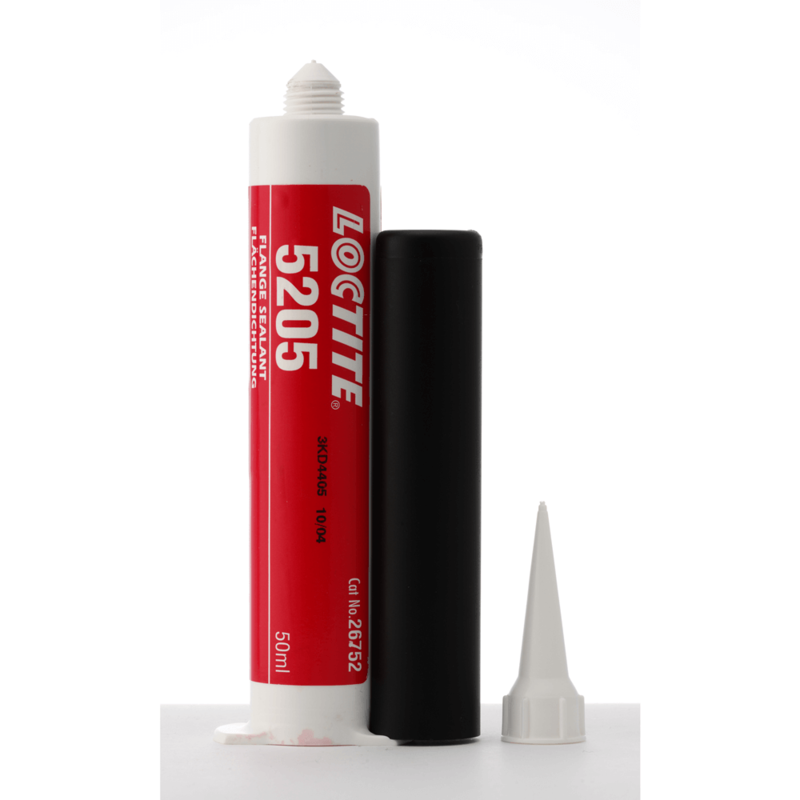 Loctite 5205 cures when confined in the absence of air between close fitting metal surfaces. It seals close fitting joints between rigid metal faces and flanges. Provides resistance to low pressures immediately after assembly of flanges. This product may be dispensed robotically with the appropriate Loctite product conditioning and dispensing systems.